"I made my money fair and square, so quit hassling me about it." ...one of the central myths of the Bernie Sanders wing of the #American #left is that people who become #rich do so on the backs of the #poor. "I wrote a best-selling book. If you write a best-selling book, you can be a #millionaire, too." "You can make a lot of money if you work at it. It's just that easy!" This sounds #suspiciously like the " #bootstraps" argument which the left so often and so vehemently rejects. And it's pretty odd to hear it from Bernie Sanders. had Sanders merely written a book, he would not have made millions. But since he wrote a #best-selling book, that brought in a lot of #money. But if the key to getting rich is to sell something a lot of people want, doesn't that show that "millionaires and billionaires" are providing a benefit to society? As to the matter of #inequality, Sanders hints at its origins. What if not everyone writes a best-selling book? Wouldn't that mean some people have millions of dollars and other people have much smaller amounts of money? Wouldn't that create inequality? Sanders apparently believes it is possible to produce a good or service without #exploiting the #workers. After all, his books did not appear by magic out of thin air. Human beings #worked to #print the books, #assemble them, and #distribute them. Sanders made money from their #labors. In fact, he made a lot more money than any truck driver who #delivered his books to stores. He made a lot more than any #factory worker who #assembled the books. Does Sanders believe he took #advantage of these workers? Apparently not. 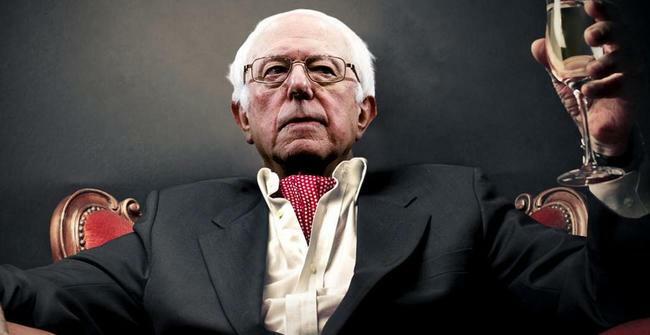 Sanders #justifies his #wealth as a matter of writing books. He doesn't mention anything about the workers at all. 1. He believes that #providing an #in-demand #product or #service #justifies high incomes for those who #produced it. 2. 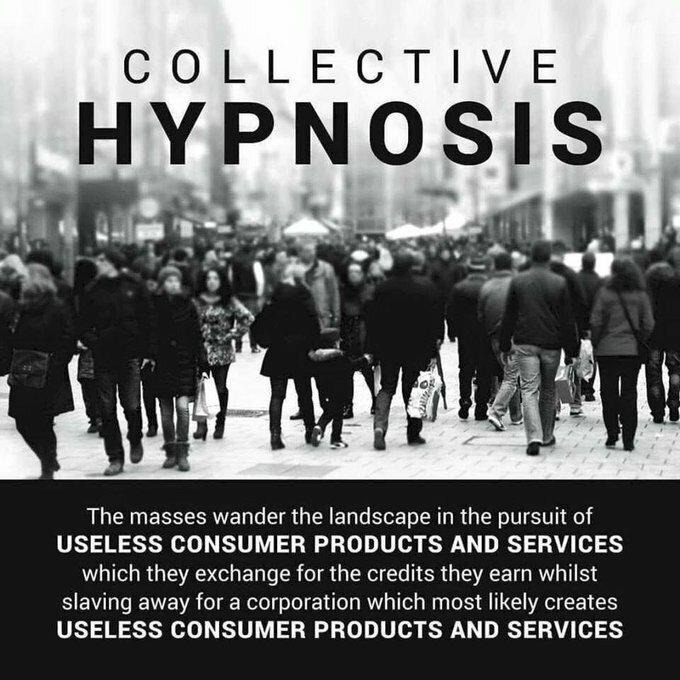 There is a connection between #income earned and the total number of #customers served. 3. If you do the same, you can be a millionaire, too. As more gnawing complaints about Apple products seem to flood the web, Cupertino releases an ad featuring something ingenious that really works. Google's product support has become a joke, and the company should be very concerned. 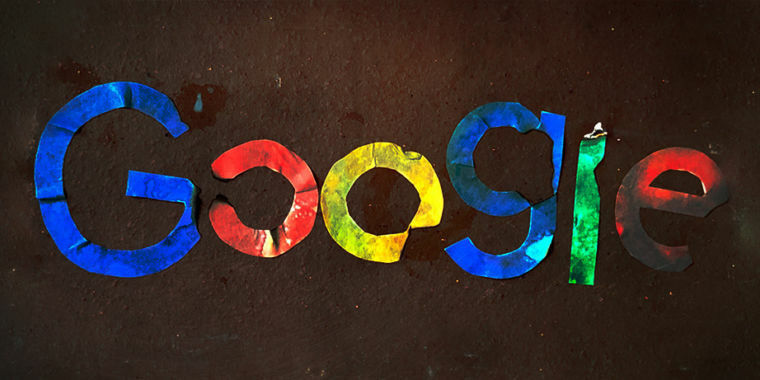 An artistʼs rendering of Googleʼs current reputation. Enlarge / An artistʼs rendering of Googleʼs current reputation. Itʼs only April, and 2019 has already been an absolutely brutal year for Googleʼs product portfolio. The Chromecast Audio was discontinued January 11. YouTube annotations were removed and deleted January 15. Google Fiber packed up and left a Fiber city on February 8. Android Things dropped IoT support on February 13. Googleʼs laptop and tablet division was reportedly slashed on March 12. Google Allo shut down on March 13. The "Spotlight Stories" VR studio closed its doors on March 14. The goo.gl URL shortener was cut off from new users on March 30. Gmailʼs IFTTT support stopped working March 31. And today, April 2, weʼre having a Google Funeral double-header: both Google+ (for consumers) and Google Inbox are being laid to rest. Later this year, Google Hangouts "Classic" will start to wind down, and somehow also scheduled for 2019 is Google Musicʼs "migration" to YouTube Music, with the Google service being put on death row sometime afterward. We are 91 days into the year, and so far, Google is racking up an unprecedented body count. If we just take the official shutdown dates that have already occurred in 2019, a Google-branded product, feature, or service has died, on average, about every nine days. Some of these product shutdowns have transition plans, and some of them (like Google+) represent Google completely abandoning a user base. The specifics arenʼt crucial, though. What matters is that every single one of these actions has a negative consequence for Googleʼs brand, and the near-constant stream of shutdown announcements makes Google seem more unstable and untrustworthy than it has ever been. Yes, there was the one time Google killed Google Wave nine years ago or when it took Google Reader away six years ago, but things were never this bad. For a while there has been a subset of people concerned about Googleʼs privacy and antitrust issues, but now Google is eroding trust that its existing customers have in the company. Thatʼs a huge problem. Google has significantly harmed its brand over the last few months, and Iʼm not even sure the company realizes it. The latest batch of dead and dying Google apps. Enlarge / The latest batch of dead and dying Google apps. Google is a platform company. Be it cloud compute, app and extension ecosystems, developer APIs, advertising solutions, operating-system pre-installs, or the storage of user data, Google constantly asks for investment from consumers, developers, and partner companies in the things it builds. Any successful platform will pretty much require trust and buy-in from these groups. These groups need to feel the platform they invest in today will be there tomorrow, or theyʼll move on to something else. If any of these groups loses faith in Google, it could have disastrous effects for the company. Consumers want to know the photos, videos, and emails they upload to Google will stick around. If you buy a Chromecast or Google Home, you need to know the servers and ecosystems they depend on will continue to work, so they donʼt turn into fancy paperweights tomorrow. If you take the time to move yourself, your friends, and your family to a new messaging service, you need to know it wonʼt be shut down two years later. If you begrudgingly join a new social network that was forced down your throat, you need to know it wonʼt leak your data everywhere, shut down, and delete all your posts a few years later. There are also enterprise customers, who, above all, like safe bets with established companies. The old adage of "Nobody ever got fired for buying IBM" is partly a reference for the enterpriseʼs desire for a stable, steady, reliable tech partner. Google is trying to tackle this same market with its paid G Suite program, but the most it can do in terms of stability is post a calendar detailing the rollercoaster of consumer-oriented changes coming down the pipeline. Thereʼs a slower "Scheduled release track" that delays the rollout of some features, but things like a complete revamp of Gmail eventually all still arrive. G Suite has a "Core Services" list meant to show confidence in certain products sticking around, but some of the entries there, like Hangouts and Google Talk, still get shut down. Developers gamble on a platformʼs stability even more than consumers do. Consumers might trust a service with their data or spend money on hardware, but developers can spend months building an app for a platform. They need to read documentation, set up SDKs, figure out how APIs work, possibly pay developer startup fees, and maybe even learn a new language. They wonʼt do any of this if they donʼt have faith in the long-term stability of the platform. Developers can literally build their products around paid-access Google APIs like the Google Maps API, and when Google does things like raise the price of the Maps API by 14x for some use cases, it is incredibly disruptive for those businesses and harmful to Googleʼs brand. When apps like Reddit clients are flagged by Google Play "every other month" for the crime of displaying user-generated content and when itʼs impossible to talk to a human at Google about anything, developers are less likely to invest in your schizophrenic ecosystem. Hardware manufacturers and other company partners need to be able to trust a company, too. Google constantly asks hardware developers to build devices dependent on its services. These are things like Google Assistant-compatible speakers and smart displays, devices with Chromecast built in, and Android and Chrome OS devices. Manufacturers need to know a certain product or feature they are planning to integrate will be around for years, since they need to both commit to a potentially multi-year planning and development cycle, and then it needs to survive long enough for customers to be supported for a few years. Watching Android Things chop off a major segment of its market nine months after launch would certainly make me nervous to develop anything based on Android Things. Imagine the risk Volvo is taking by integrating the new Android Auto OS into its upcoming Polestar 2: vehicles need around five years of development time and still need to be supported for several years after launch. With so many shutdowns, tracking Googleʼs bodycount has become a competitive industry on the Internet. Over on Wikipedia, the list of discontinued Google products and services is starting to approach the size of the active products and services listed. There are entire sites dedicated to discontinued Google products, like killedbygoogle.com, The Google Cemetery, and didgoogleshutdown.com. I think weʼre seeing a lot of the consequences of Googleʼs damaged brand in the recent Google Stadia launch. A game streaming platform from one of the worldʼs largest Internet companies should be grounds for excitement, but instead, the baggage of the Google brand has people asking if they can trust the service to stay running. In addition to the endless memes and jokes youʼll see in every related comments section, youʼre starting to see Google skepticism in mainstream reporting, too. Over at The Guardian, this line makes the pullquote: "A potentially sticky fact about Google is that the company does have a habit of losing interest in its less successful projects." IGN has a whole section of a report questioning "Googleʼs Commitment." From a Digital Foundry video: "Google has this reputation for discontinuing services that are often good, out of nowhere." One of SlashGearʼs "Stadia questions that need answers" is "Can I trust you, Google?" Googleʼs Phil Harrison talks about the new Google Stadia controller. 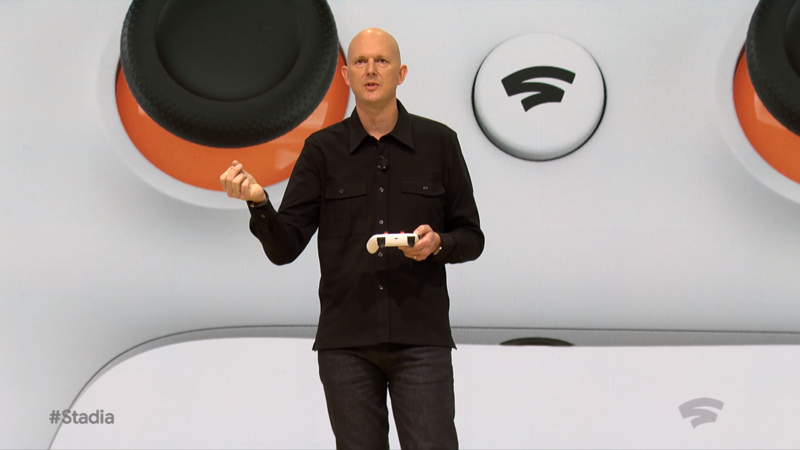 Enlarge / Googleʼs Phil Harrison talks about the new Google Stadia controller. One of my favorite examples came from a Kotaku interview with Phil Harrison, the leader of Google Stadia. In an audio interview, the site lays this whopper of a question on him: "One of the sentiments we saw in our comments section a lot is that Google has a long history of starting projects and then abandoning them. Thereʼs a worry, I think, from users who might think that Google Stadia is a cool platform, but if Iʼm connecting to this and spending money on this platform, how do I know for sure that Google is still sticking with it for two, three, five years? 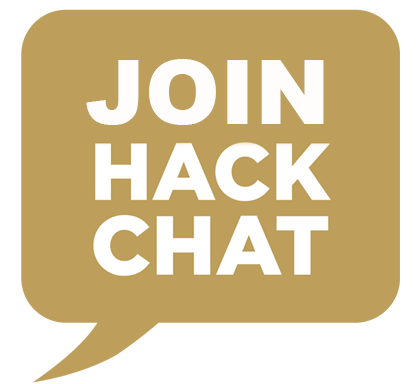 How can you guys make a commitment that Google will be sticking with this in a way that they havenʼt stuck with Google+, or Google Hangouts, or Google Fiber, Reader, or all the other things Google has abandoned over the years?" Yikes. Kotaku is totally justified to ask a question like this, but to have one of your new executives face questions of "When will your new product shut down?" must be embarrassing for Google. Harrison and the rest of the Stadia team had nothing to do with the closing of Google Inbox, or the shutdown of Hangouts, or the removal of any other popular Google product. They are still forced to deal with the consequences of being associated with "Google the Product Killer," though. If Stadia was an Amazon product, I donʼt think we would see these questions of when it would shut down. Microsoftʼs game streaming service, Project xCloud, only faces questions about feasibility and appeal, not if Microsoft will get bored in two years and dump the project. Googleʼs love of product shutdowns is mostly just a side effect of Googleʼs love for developing products. Calling anything a "Google Product" is usually a gross simplification—Google rarely does anything as a singular company. Instead, the industry giant is made up of autonomous product groups that develop and launch things on their own schedule. This is why Google often ends up making "Two of everything:" different teams donʼt communicate and end up tackling the same problem with different ideas. Googleʼs strategy of having multiple teams throw things against the wall to see what sticks leads to lots and lots of products and services launching all the time, all with varying levels of quality, integration with other Google products, and varying lifetimes. It also leads to lots and lots of product cancellations. A better way to frame launches and other decisions inside of Google is try to figure out which team inside of Google has built a product, and to view each product team as a separate entity. The Google Assistant does well, because it is run by the Google Search team. On the other side of the spectrum, we have the Google Messaging team, which—after Hangouts, Hangouts Chat, Allo, Duo, Google Voice, and Android Messages—has pretty much no credibility left at all. The Android Team is easily one of the steadiest, most reliable groups at Google. Having various teams launch whatever hardware they want was a mess until all the hardware was put under the control of a new Google Hardware division. The Gmail team lives under the "Google Apps" umbrella, and itʼs responsible for developing and shutting down Inbox. Google Apps, with its enterprise focus, is usually a stalwart group, and Inbox is the first big shutdown from the Google Apps team in a long time. Google Fiber is not even part of Google; instead, itʼs a separate company under Googleʼs parent company, Alphabet. Google+ was created as a brand-new division inside of Google, led by Vic Gundotra. Back in 2011, success in social was considered critical to Googleʼs survival, and Gundotra was given the title of "Senior Vice President." That made him one of eight or so people that regularly reported to then-CEO Larry Page. From here Google+ followed a pattern we see a few times with Google product launches and cancellations: Gundotra, the driving force behind Google+, left Google (or perhaps was compelled to leave Google) in 2014, which signaled the beginning of the end for Google+. Google+ was immediately stopped, Plusʼ more successful features were spun off, and eventually Google killed Google+ after a revelation of data security issues was made public. Any website with traffic analytics will tell you that Google+ usage has been continually declining, but shutting down a major product due to a data leak is certainly a strange decision. I could understand if the product was being abandoned entirely, but the enterprise version of Google Plus will continue to live on. Google has even promised a redesign and new features for the enterprise version. Hangouts was a product that never quite found a solid home inside Google. It was cooked up by the Google+ team as a way to combine all of Googleʼs other messaging services into a single app. When Plus started its death spiral, Hangouts didnʼt have an obvious home in another division at Google. Eventually, the standalone messaging team was created, but it seemed more interested in starting its own (numerous) projects than supporting a messaging app created by someone else. Google Play Music is dying due to pretty much the same situation as Hangouts. Back in 2011, iOS had a great music solution (iTunes), while Android didnʼt. So Google Music was created by the Android team as part of the "Android Market" content store. With Web clients and plans to branch out onto iOS, the "Android Market" branding didnʼt make a ton of sense, so eventually the "Google Play" brand was born, and eventually Google Play became separate from the Android division. Now we have Googleʼs YouTube taking over a lot of Googleʼs media content strategy with all new apps, and just like Hangouts, it seems like a solid product is dying due to "not invented here" syndrome. I could go on forever about the explanations behind Googleʼs many shutdowns. The shutdowns are all from independent teams making independent decisions, with products, employees, and divisions shifting around as time goes by. The rationale behind each shutdown doesnʼt really matter though—the problem is the cumulative effect of all these individual shutdowns on Googleʼs reputation and Googleʼs customers that, time and time again, have products taken away from them. With all of the shutdowns already announced, Iʼm not sure thereʼs anything Google can do to help its reputation at this point. The amount of people I see still bringing up Google Readerʼs shutdown is incredible—having a frequently used Web service snatched away from you sticks with people. If people lose confidence in Googleʼs ability to host a stable lineup of services, more and more users will move out of the Google ecosystem. Then, like weʼre already seeing with Stadia, the company would face an uphill battle to get people to use its new products. Iʼve been promoting a "wait and see" approach for most new Google products since at least 2016. But to see Googleʼs support now become the subject of punchlines on the Internet should be extremely concerning for Google. One thing that could placate Google users is for the company to just tell us what is going on. 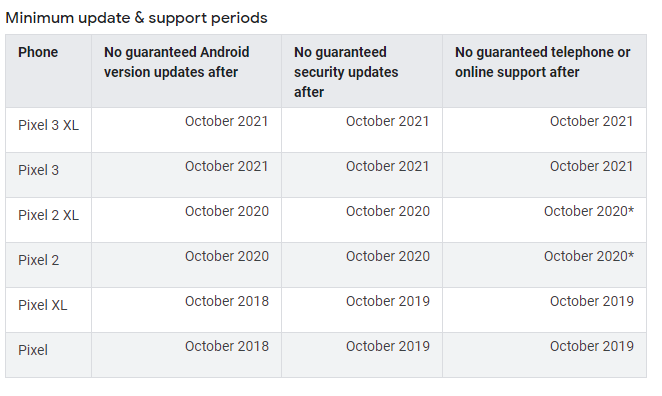 Google already makes support promises for some of its products. Pixel phones and Chromebooks both have dashboards that show promised support windows and public end-of-life dates. Meanwhile, Google already hosts various uptime pages and other statistics. I want communication from Google that says which products will be around for a long time and which are a low priority at the company. Would it be so hard to publicly commit to running Stadia for five years no matter what? For its more successful products, Google could commit to 10 years of running a service and update the dashboard from time to time with later dates. I realize most companies donʼt do this, but most companies donʼt have the reputation Google has for killing products. It makes sense to counter the memes of "haha, how long until Google discontinues this product?" with a public statement of "not for at least seven years." We just want to see a damn product roadmap, Google. Give us a list of "Long Term Support (LTS)" products. Google posts public support timelines for Pixel phones, why not products and services, too? Enlarge / Google posts public support timelines for Pixel phones, why not products and services, too? Google likes to experiment, but it needs to be better at communicating what products will be around for a while and which ones will be thrown against the wall to see what sticks. Sometimes Google is good with this kind of communication. The recent launch of Googleʼs Reply app was handled well, for example. Google called the service "an experiment," and it was from a new skunkworks inside Google called "Area 120." Everything about the service made it sound like a temporary testing ground, and when the product was shut down, Googleʼs messaging was great: "Reply was an experiment, and that experiment has now ended." This was a fine way to go about things. By contrast, nothing about the launch of Google Inbox made it sound like a product that would only stick around for a few years. Inbox was "years in the making," and the blog post made it seem like Googleʼs email client for the future. As it stands now, products that were the center of the company a few years ago (RIP, Google+) are on the chopping block in 2019, and Google seems ready to kill any product that doesnʼt have a billion daily active users. Without knowing the reason behind this wave of shutdowns (was there some new mandate inside the company to trim down? ), nothing from Google seems safe anymore. Google neglected to mention Google Voice in its last big messaging update. Should we read into that? Wazeʼs features are slowly being moved over to Google Maps. Is that a bad sign? (Android) Wear OS is basically in last place in the smartwatch wars. Nest doesnʼt make a profit and recently was stripped of its Google independence. Googleʼs Fuchsia OS is staring down an expensive multi-year development cycle, and the supposed plan to replace Android will be a steep uphill battle. How confident are you that all of these products will be around in a few years? Every time Google shuts down a product, its reputation is harmed. A shutdown makes users feel betrayed, it makes trusting other Google services harder, and it makes it harder for Google to pitch new products to users. With so many shutdowns happening lately, Iʼve got to wonder if Google users will start to seek similar services from companies that simply seem more stable. Neal Mohan discusses the streaming site’s recommendation engine, which has become a growing liability amid accusations that it steers users to increasingly extreme content. The recommendation engine is a growing liability for YouTube, which has been accused of steering users toward increasingly extreme content. After the recent mass shooting in Christchurch, New Zealand — the work of a gunman who showed signs of having been radicalized online — critics asked whether YouTube and other platforms were not just allowing hateful and violent content to exist but actively promoting it to their users. YouTube’s biggest competitor, Facebook, said this week that it would ban white nationalism and white separatism on its platforms. 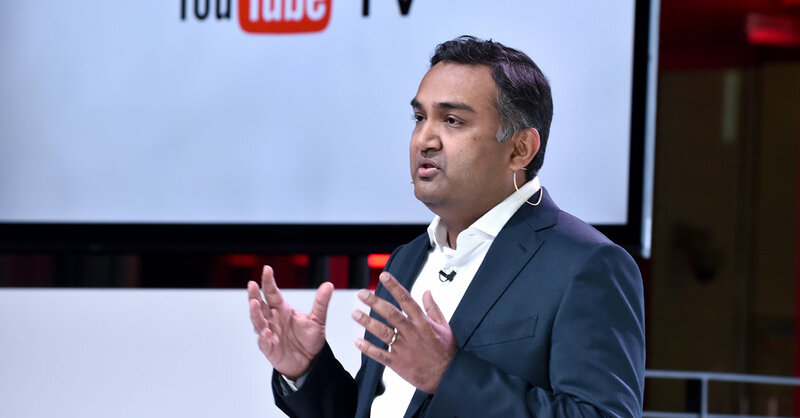 I recently spoke with Neal Mohan, YouTube’s chief product officer, about criticism of the company’s algorithms and what it is doing to address radicalization and violent extremism on the platform. We spoke about the things YouTube has already done to rein in extreme content — hiring additional reviewers, introducing a “breaking news shelf” that kicks in after major news events, altering the recommendation algorithm to reduce the distribution of conspiracy theories and other “borderline content” — and about the company’s plans for the future. The conversation was edited for length and clarity. I’m wondering what you think about the conversation happening around radicalization on YouTube. I think what might be useful is for me to just take one minute to take a step back, and I can give you my perspective on how we think about this. I think some of it has to do with the fact that, as you know and as you’ve written about, YouTube was started as, and remains, an open platform for content and voices and opinions and thoughts. Many of them being, you know, really across the entire spectrum, many of which you or I or others may or may not agree with. I wouldn’t be at YouTube, working on what I work on, if I didn’t believe in the power of diversity of voices and opinions. Having said that, we do take this notion of dissemination of harmful misinformation, hate-filled content, content that in some cases is inciting violence, extremely seriously. I hear a lot about the “rabbit hole” effect, where you start watching one video and you get nudged with recommendations toward a slightly more sort of extreme video, and so on, and all of a sudden you’re watching something really extreme. Is that a real phenomenon? Yeah, so I’ve heard this before, and I think that there are some myths that go into that description that I think it would be useful for me to debunk. The first is this notion that it’s somehow in our interests for the recommendations to shift people in this direction because it boosts watch time or what have you. I can say categorically that’s not the way that our recommendation systems are designed. Watch time is one signal that they use, but they use a number of other engagement and satisfaction signals from the user. It is not the case that “extreme” content drives a higher version of engagement or watch time than content of other types. I can also say that it’s not in our business interest to promote any of this sort of content. It’s not something that has a disproportionate effect in terms of watch time. Just as importantly, the watch time that it does generate doesn’t monetize, because advertisers many times don’t want to be associated with this sort of content. And so the idea that it has anything to do with our business interests, I think it’s just purely a myth. So, why do people talk about this rabbit hole effect — you know, I went to watch one video about President Trump and now I’m just getting a stream of recommendations of increasingly more partisan content. Why do you think there’s this perception that this is what happens on YouTube? This is one of the things that we looked at closely as we were developing the technology that went into that recommendation change that I described to you from a few weeks back. We really looked at this to see what was happening on those “watch next” panels, in terms of the videos that were being recommended. And the first thing that I should say is that when we make recommendations after a video has been consumed, we don’t take into account any notion of whether that’s less or more extreme. So when we looked at the data, we saw that a lot of the videos that were being recommended, as you would expect, had to do with the context of the video that was being consumed. That’s obviously no surprise, but the videos that you saw on the panel, there were videos that you might consider to be maybe a little bit more extreme than what you had just consumed. But you’ll also see videos that were less extreme, or that you could call more toward the quote-unquote mainstream. It’s equally — depending on a user’s behavior — likely that you could have started on a more extreme video and actually moved in the other direction. Sorry, can I just interrupt you there for a second? Just let me be clear: You’re saying that there is no rabbit hole effect on YouTube? I’m trying to describe to you the nature of the problem. So what I’m saying is that when a video is watched, you will see a number of videos that are then recommended. Some of those videos might have the perception of skewing in one direction or, you know, call it more extreme. There are other videos that skew in the opposite direction. And again, our systems are not doing this, because that’s not a signal that feeds into the recommendations. That’s just the observation that you see in the panel. I’m not saying that a user couldn’t click on one of those videos that are quote-unquote more extreme, consume that and then get another set of recommendations and sort of keep moving in one path or the other. All I’m saying is that it’s not inevitable. In the case of breaking news, you guys made a decision that showing authoritative information to people who were looking for it was important enough to radically shift the way recommendations and search results work, by moving to an approved or “authoritative sources” model rather than using the regular recommendation algorithm. Why not do that for everything? Let me say a few things about that. The first is that using a combination of those tools of authoritative content and promoting authoritative content is something that can apply to other information verticals, not just breaking news. Having said that, as you continue to broaden the application of something like that, it’s quite a blunt hammer. And so it does come with trade-offs. For example, how do you define something authoritative across the broad swath of YouTube when many of the use cases, as you know, are outside of the information-seeking realm? They’re entertainment, they’re oftentimes driven by people’s personal tastes, like music and comedy and the like. Right, but you could do it just for politics, hypothetically, and say that for any political video, we’re going to move to this “authoritative sources” model. I think that even when you go to something that broad, it comes with real trade-offs. And I’m just raising the fact that there are considerations there, which is that you are then limiting political discourse to a set of preordained voices and outlets and publications. And I think that especially when it comes to something as charged and societally impactful as politics, there needs to be room for new voices to be heard. Since the New Zealand shooting, we’ve heard this question about “Well, the platforms worked together to take down ISIS content. Why haven’t they done the same for white supremacy or violent right-wing extremism?” What’s the answer there? The first thing that I would say, just as a matter of fact, is that there were two sets of challenges when it came to the New Zealand shooting. One was everything that we just talked about in terms of surfacing authoritative, high-quality information — not showing, you know, conspiracies or harmful misinformation. That was one bucket. The other bucket had to do with the velocity at which re-uploads were coming to these various platforms, and that is an area where we collaborated. We worked closely with other platforms in terms of making sure we had fingerprints of these videos, just like they did, and we shared those. The other thing I would say, just more generally, in the case of violent extremism and limiting those videos on the platform, the reason it’s different than what we’re talking about here is that those [ISIS]videos took on a particular form. They were often designed for propaganda purposes and recruitment purposes. So they had things like branding and logos, both visually and in terms of the music they might use. Those formed a set of finite clues we could use to bring that content down. And, of course, we collaborated with other platforms to do that. In the case of something like this, the challenges are harder because the line, as you can imagine, is sometimes blurry between what clearly might be hate speech versus what might be political speech that we might find distasteful and disagree with, but nonetheless is coming from, you know, candidates that are in elections and the like. So much of what YouTube has become over the years is this kind of alternative form of media. People don’t go to YouTube because they want the same stuff they would see on TV. They go because they’ve built relationships with creators that they trust, and when Logan Paul puts out a flat-earth documentary or Shane Dawson questions whether 9/11 happened, there’s a sense that YouTube is the place where these “real” explanations are being offered, and maybe that makes this all very hard to undo. I do think a lot about this, but I think everything that we’ve talked about for the last half-hour fits into that bucket for me. And the way I would describe it is that there’s nearly two billion people that come to our platform every month. Every one of them is coming for some unique reason, whether it’s the latest and greatest music video or a YouTube original, or their favorite creators. Everybody has reasons of their own, and I think one of the reasons people are coming to our platform that has been growing over the course of the last couple of years — partly as a reflection of what’s happening in the world at large — is people are coming to YouTube for information. And I think when people come to YouTube looking for information, it has resulted in a shift in the way that we think about the responsibility of our platform. As a result of that shift, our product teams here are thinking of all of these solutions, many of which we’ve talked about here, as a means of addressing that responsibility for making sure that when users are looking for information, YouTube is putting its best foot forward in terms of serving that information to them. But YouTube is also still keeping users in power, in terms of their intent and the information that they’re looking for. It’s an ongoing effort. I think we’ve made great strides here. But clearly there’s more work to be done. Apple has canceled the AirPower product completely, citing difficulty meeting its own standards. “After much effort, we’ve concluded AirPower will not achieve our high standards and we have cancelled the project. We apologize to those customers who were looking forward to this launch. We continue to believe that the future is wireless and are committed to push the wireless experience forward,” said Dan Riccio, Apple’s senior vice president of Hardware Engineering in an emailed statement today. After a delay of over a year since it was first announced in September of 2017, the AirPower charging mat has become something of a focal point for Apple’s recent habit of announcing envelope tickling products and not actually shipping them on time. The AirPods, famously, had a bit of a delay before becoming widely available, and were shipped in limited quantities before finally hitting their stride and becoming a genuine cultural moment. AirPower, however, has had far more time to marinate in the soup of public opinion since it was announced. Along with recent MacBook keyboard troubles, this has functioned as a sort of flash point over discussion that something isn’t right with Apple’s hardware processes. Everything I’ve personally heard (Apple is saying nothing officially) about the AirPower delay has been related to tough engineering problems related to the laws of physics. Specifically, I’ve heard that they ran too hot because the 3D charging coils in close proximity to one another required very, very cautious power management. Obviously, it would do Apple very little good to release a charging mat that caused devices to overheat, perhaps even to the point of damage. So, it has canceled the project. If you know more about this, feel free to reach out, I’m fascinated. There have been other scenarios where Apple has pushed the hardware envelope hard and managed to pull it off and ship them, the iPhone 7 Plus, its first with a twin-lens system, being one that jumps to mind. Apple had a fallback plan in a single-lens version but at some point had to commit and step off a ledge to get it done in time to ship — even though knowing they still had problems to solve. Apple has done this many times over the years, but has managed to ship many of them. AirPower, however, was the other kind of case. This is a very rare public mis-step for Apple. Never, throughout the discussion about when AirPower might be released, did the overall trend of the discussion lean toward “never.” That’s a testament to the ability of its hardware engineering teams to consistently pull of what seems to be nearly impossible over the years. In this case, it appears that the engineering issues have proven, at least at this point, insurmountable. The fact of the matter is that hardware is, well, hard. 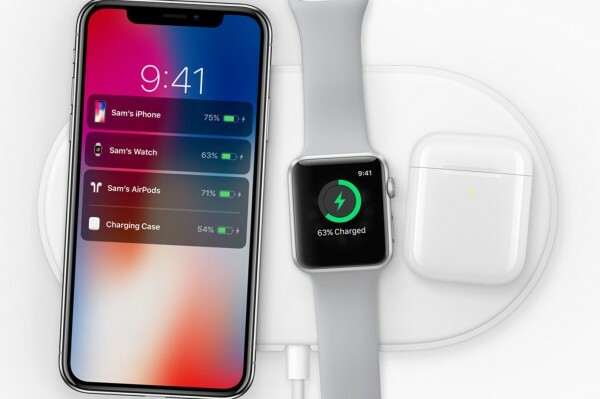 The basic concepts of wireless charging are well known and established, but by promising the ability to place multiple devices anywhere on a pad, allowing them to charge simultaneously while communicating charge levels and rates Apple set its bar incredibly high for AirPower. Too high, in this case. There are many things people can do to advance the cause of humankind and push the boundaries of knowledge. But at some point, they’d better earn you a buck or two. Can a quantum computer really be a cash cow? An error it may be, but invasive it certainly is. The explosion in disposable cleansing and hygiene-related products has resulted in an effect on the environment and humans that could be described as catastrophic. 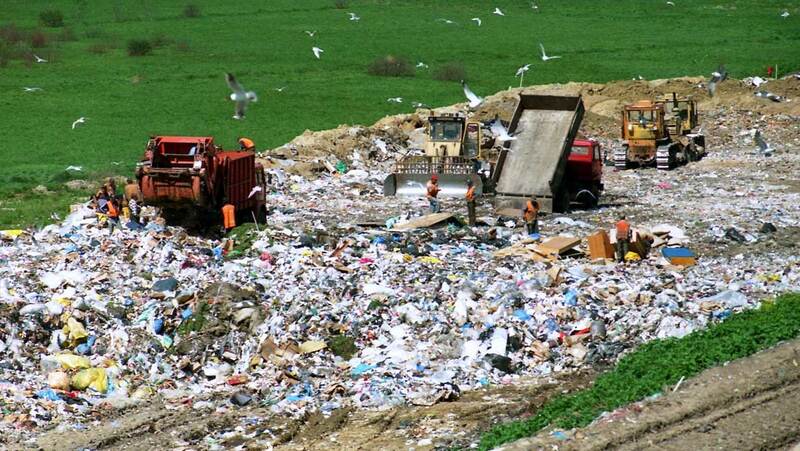 Currently, the proportion of these products that have been used are sitting around in increasingly large landfills worldwide. This is due to their plastic content, which does not biodegrade. Even products that do not contain plastics may have been bleached using chlorine-based solutions.